Award-winning original fiction for learners of English. At seven levels, from Starter to Advanced, this impressive selection of carefully graded readers offers exciting reading for every student's capabilities. Five entertaining stories about the power of discovery set in countries across the globe. A perfume made from some very unusual ingredients becomes more effective than expected. A remarkable change in a woman's life leaves her family to make a decision. The secret and danger of high intelligence are revealed to a university student. A teacher discovers a way of making time stand still. And a book tells a young manager more than he wants to know. Paperback-only version. Also available with Audio CDs including complete text recordings from the book. 1. 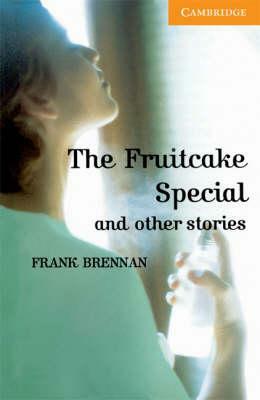 The fruitcake special; 2. The real Aunt Molly; 3. Brains; 4. The Book of Thoughts; 5. Finders keepers.